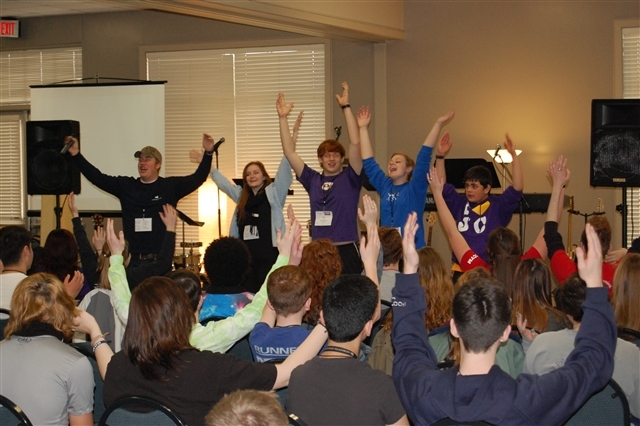 More than 280 youth and adults participated in the conference-sponsored Senior High Retreat, held Feb. 28-March 1 at The Wesley Center in Woodworth. Twenty-five campus ministry representatives from nine Louisiana Colleges staffed a college ministry fair that was visited throughout the retreat by the 180 senior high student participants during their free time. The theme for the event was IHope, focusing on the scripture from Romans 12:12 – “Be joyful in hope, patient in affliction, faithful in prayer.” Keynote speaker Rev. Drew Sutton, director of the LSU Wesley Foundation in Baton Rouge, addressed the ways we can live out that hope in our relationship with Christ. Conner Byrd and the band from First UMC, Natchitoches led music for all worship sessions. The students raised over $3,100 for Youth Service Fund through the sale of “candy grams,” auctions of donated baked goods and other items and individual donations. 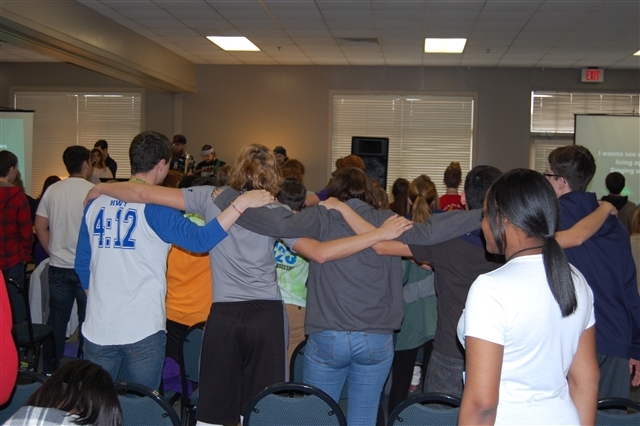 As with past retreats, the Conference Council of Youth Ministries did a great job of leading small group breakout sessions during the event. Members of the CCYM plan and implement every aspect of Conference Youth Ministry events from determining the theme for the year during our annual planning meetings to leading the small groups during events.